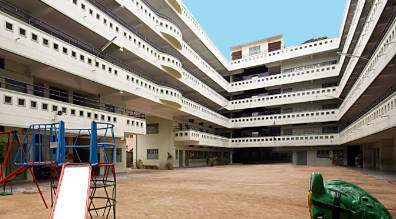 The School, affiliated to the Central Board of Secondary Education, New Delhi, was established in 1995, catering to the educational needs of students, with an uncompromising emphasis an quality education. The present strength of the school is around 5000. 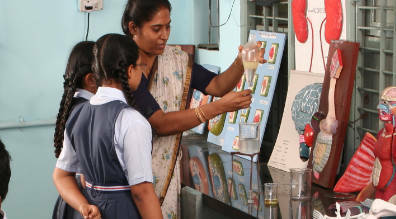 Our sincere conviction is that every child is born endowed with unique capabilities and vast potentials which have to be tapped in a child- friendly learning atmosphere so that he/she blossoms into a masterpiece of creation. When young minds are moulded and their character is formed, a nation is built. To achieve this great mission of nation building, the school follows a childcentred curriculum based on CBSE pattern supplemented with co-curricular and extra-curricular programmes. From Montessori upwards, at every stage, the student is ably guided on his/her journey of discovery, exploration, enquiry and experimentation. 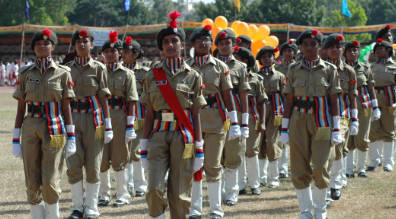 Individual brilliance and competence is nurtured not only for one’s self but with a social dimension so that future citizens of this great country emerge as responsible, compassionate and wonderful human beings.The school with its quality infrastructure, acumen and vision has already made a mark in the field of education and occupied a place of pride among the leading public schools in the country. It is our earnest endeavour to upgrade the school further to match up to international standards in education. To equip and prepare our students to withstand the winds of change during their formative years and to acquire knowledge and skills which will enable them to attain mastery in their chosen sphere when they step out into a wider arena. To fortify values which strengthen character that will stand true even in the most trying situations in the laboratory of practical adult life. To inculcate basic personal and professional values and produce successful leaders for our swiftly changing planet, in tune with international demands and requirements.